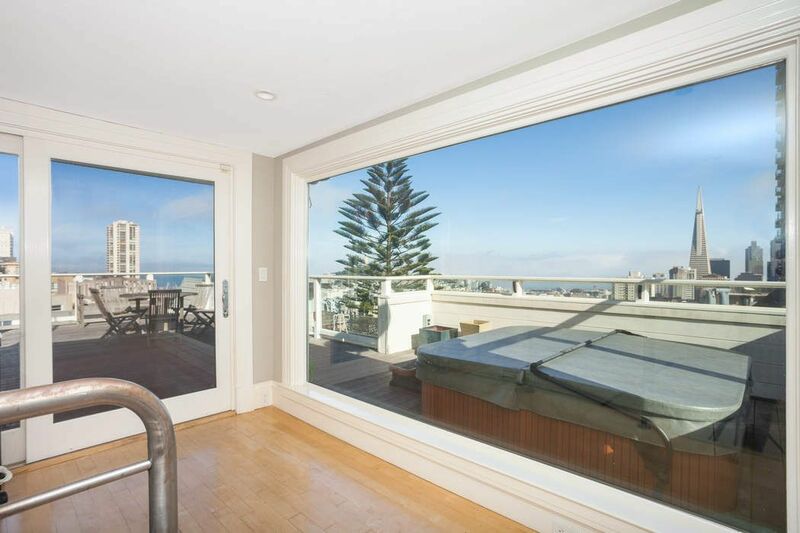 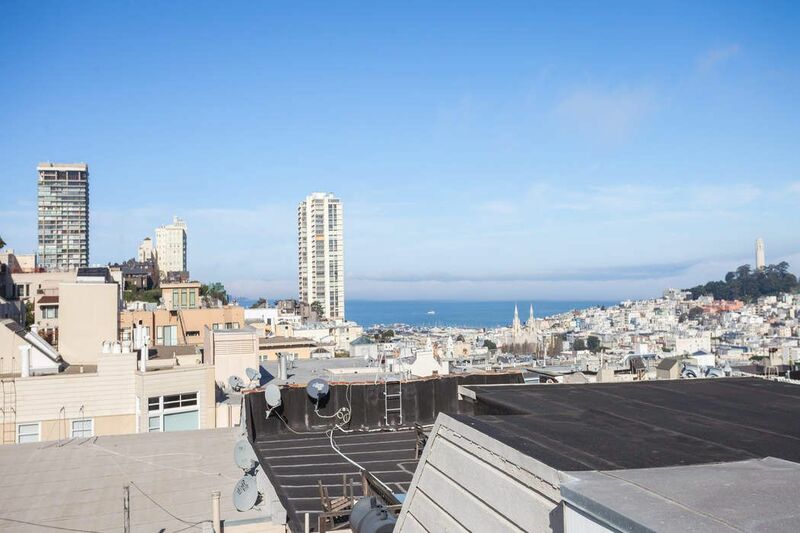 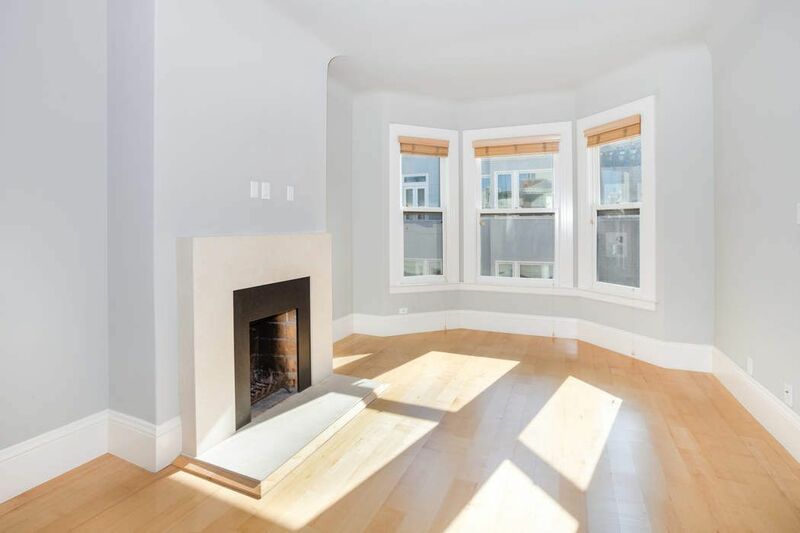 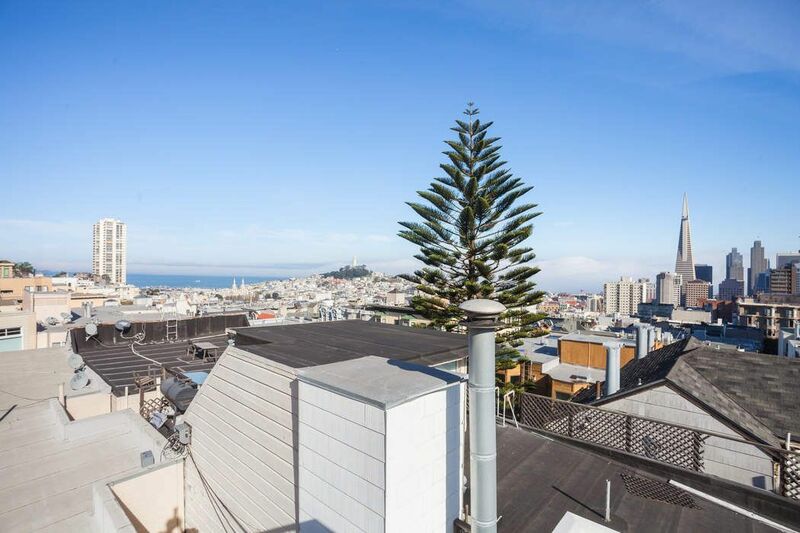 30 Pleasant St , San Francisco, CA 94108 | Sotheby's International Realty, Inc.
Gorgeous fully remodeled, top floor two bedroom, two bath flat with hardwood floors throughout. 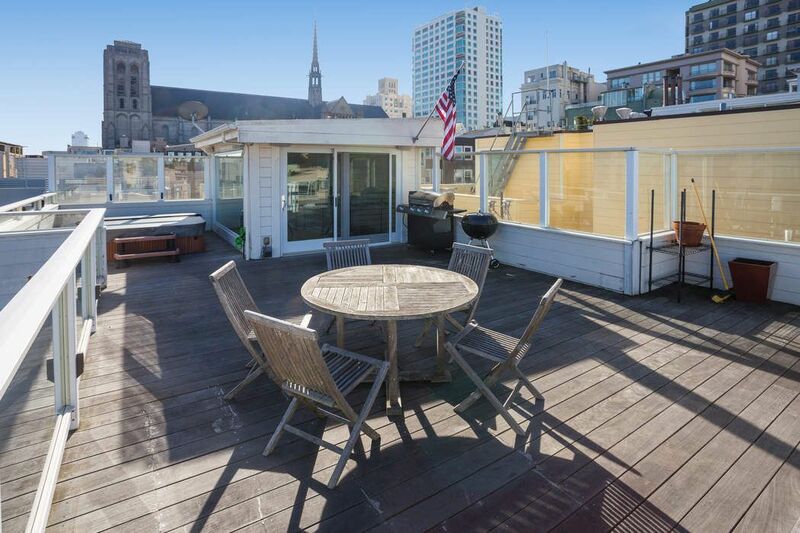 Private rooftop deck offers sweeping views and hot tub. 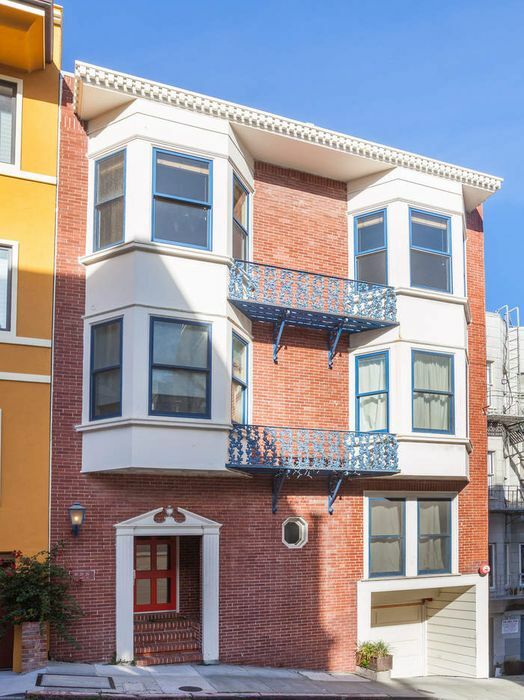 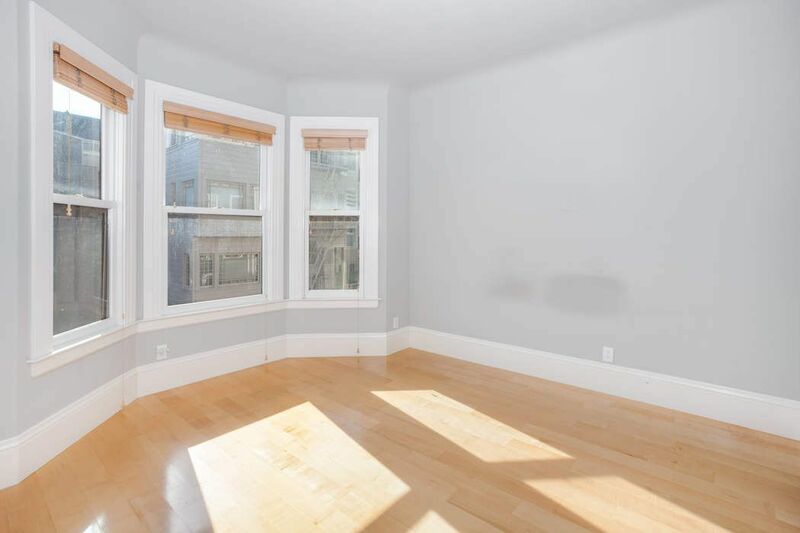 Located on Nob Hill, this beautiful three unit building has been completely renovated and is walking distance to all the shops and restaurants downtown and near many transpiration options. 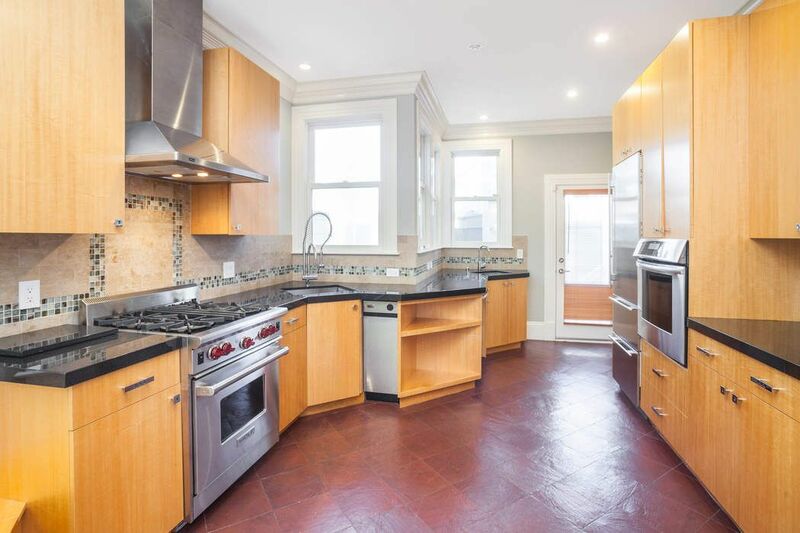 There is a fully updated eat-in kitchen with granite counters, maple color cabinets, bar sink and stainless steel appliances including gas range, fridge and dishwasher. 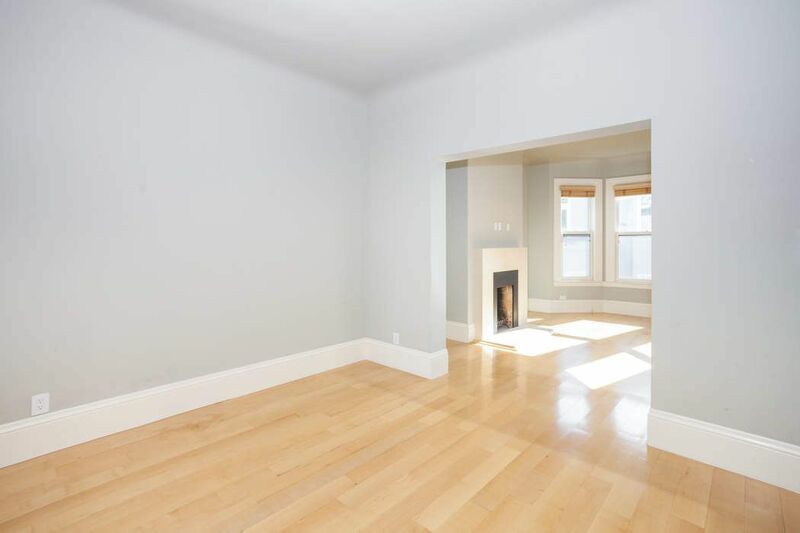 There is a double parlor with formal dining and living room with working fireplace, great light and bay windows. 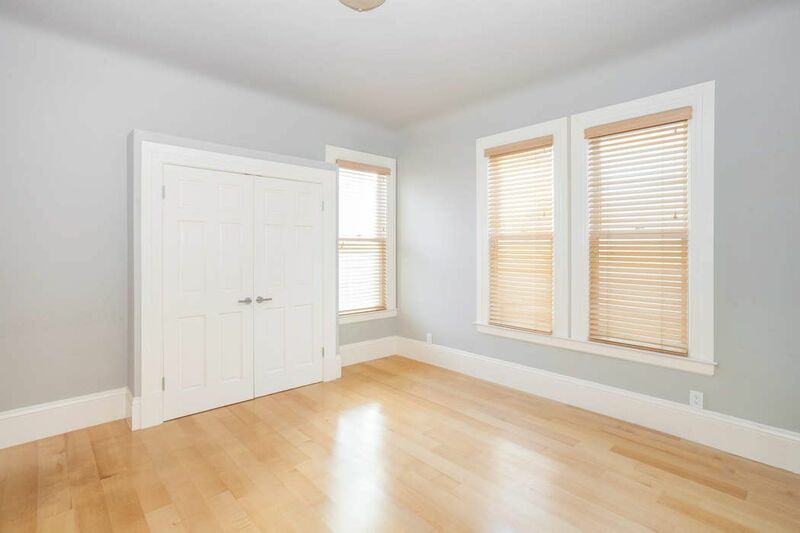 A large master bedroom is located in the front of the flat with beautiful marble, fully updated master bath with European shower and separate soaking tub. 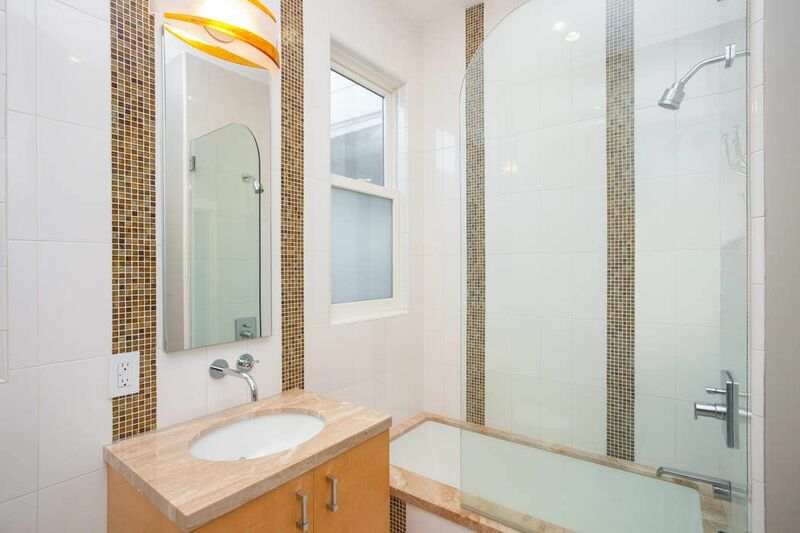 There is a second good-sized bedroom with large bath, also fully updated with beautiful tile shower over tub.Stairs from the living room lead directly to a small sun room (office) and gorgeous private deck with amazing bay views and a private hot tub. 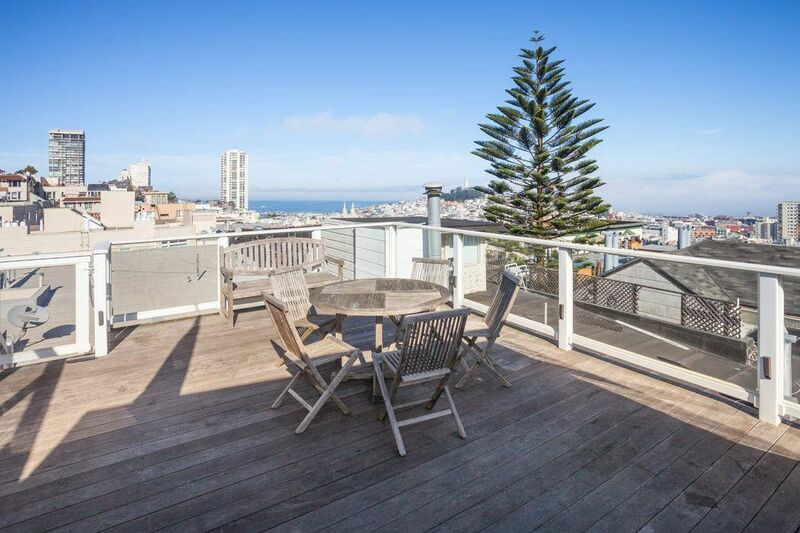 One car parking included.